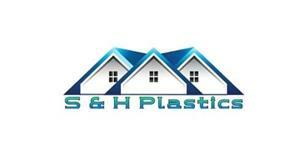 S&H Plastics - Fascia/Soffits/Guttering based in Edenbridge, Kent. S&H Plastics are UPVC fascia, soffit and gutter specialists, that also do all types of roof repair, from resetting ridge tiles and verges to refelting. I'm a firm believer that I'm only as good as my last job and as a tradesman that takes pride in my work, I believe that every job must be at the highest quality for customer satisfaction. I am a freindly, reliable, trustworthy small run business that puts the customers needs and wants first! So please do'nt hesitate to get in touch for a free quotation with no obligation.